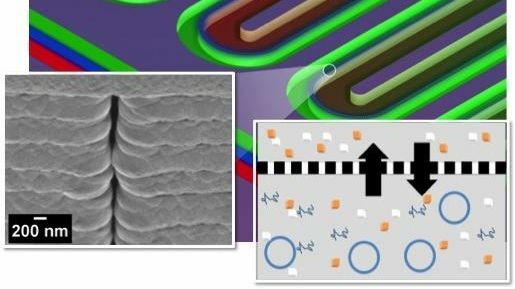 Researchers at Oak Ridge National Laboratory have created a small, microfluidic bioreactor that can generate all the proteins required to craft a variety of medical compounds. The Tennessee-based institute believes it would be perfect for field medics and paramedics who would desperately need certain drugs when operating away from the supplies of a hospital. The bioreactor is comprised of two 15-feet-long channels that are wound tightly together yet subtely divided by an ultra-thin porous membrane. One of these channels funnels all the chemicals through the device, while the other one houses the processes the form each kind of drug. In fact, all you need to do is shake the bioreactor to distribute the chemicals and Bob's your uncle - instant medicine. "With this approach, we can produce more protein faster, making our technology ideal for point-of-care use," comments Scott Retterer, one of two scientists leading the project. "The fact it's cell-free reduces the infrastructure needed to produce the protein and opens the possibility of creating proteins when and where you need them, bypassing the challenge of keeping the proteins cold during shipment and storage." While still at a very early prototype stage, the potential for the device is pretty incredible. Since its cell free, the bioreactor doesn't require the expensive conditions required to house living organisms (ie bacteria) to produce the meds, making it potentially more cost effective. It could also have a huge impact on mobile medics operating in the military and those individuals responding to disasters, natural or otherwise.